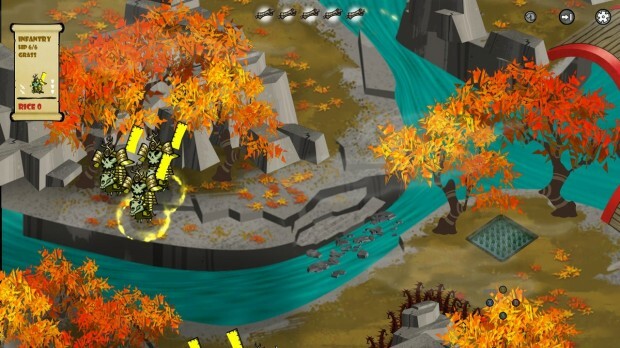 Samurai-themed turn-based strategy game Skulls of the Shogun has enjoyed much-deserved success since its release last month. 17-BIT’s blitzkrieg-style launch across Microsoft’s many platforms means no matter where you are or what you’re doing, you can bring Skulls of the Shogun along for the ride. But what if that’s still not enough Skulls in your life? Well then, now’s your chance to score some official limited-edition schwag, courtesy of 17-BIT’s “Skulls Anywhere” contest. Hope your entry is chosen as a winner! To be sure you’re eligible for the contest, check out the official rules and regulations. You can hit the jump to check out the many sweet prizes up for grabs including art prints signed by the 17-BIT team. 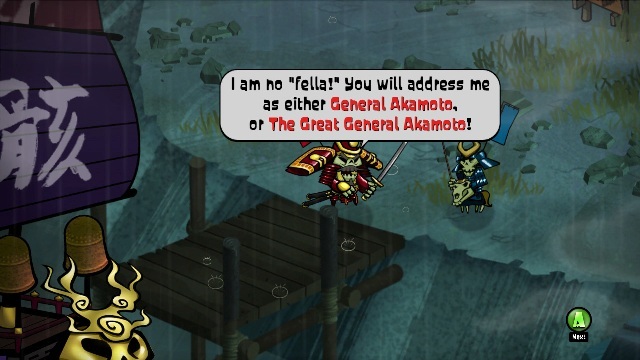 Finally, if you haven’t yet checked out Skulls of the Shogun, you can catch up with the XBLAFans review and our exclusive guide. 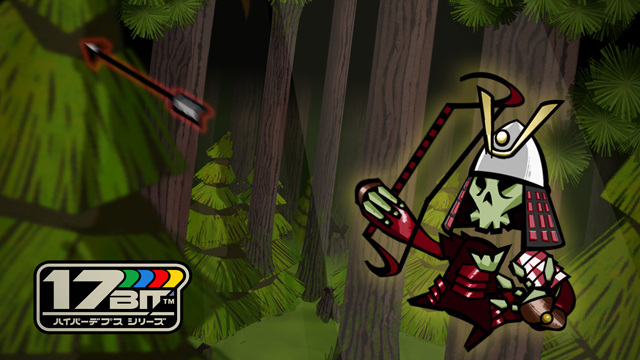 Hello and welcome to the XBLA Fans guide to the fifth and final region of Skulls of the Shogun. On this page, you’ll find a walkthrough to each of the levels in this region, as well as how to win all of the Gold Skulls for the area. Enjoy! Please note that to get the most achievement points possible from Skulls, you’ll need to play on normal difficulty, which is the default anyway. Hello and welcome to the XBLA Fans guide to the fourth region of Skulls of the Shogun. On this page, you’ll find a walkthrough to each of the levels in this region, as well as how to win all of the gold skulls for the area. Enjoy! Hello and welcome to the XBLA Fans guide to the third region of Skulls of the Shogun (Skulls.) On this page, you’ll find a walkthrough to each of the levels in this region, as well as how to win all of the gold skulls for the area. Enjoy! 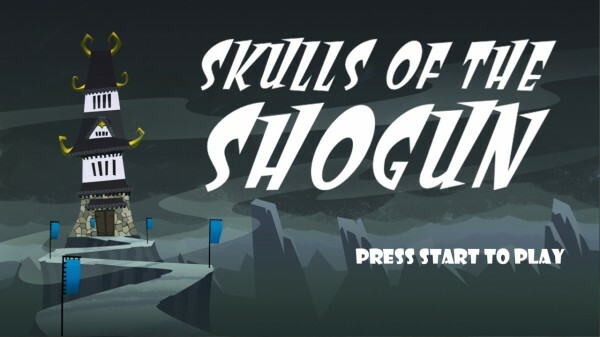 Hello and welcome to the XBLA Fans guide to the second region of Skulls of the Shogun (Skulls.) On this page, you’ll find a walkthrough to each of the levels in this region, as well as how to win all of the gold skulls for each level. Enjoy! 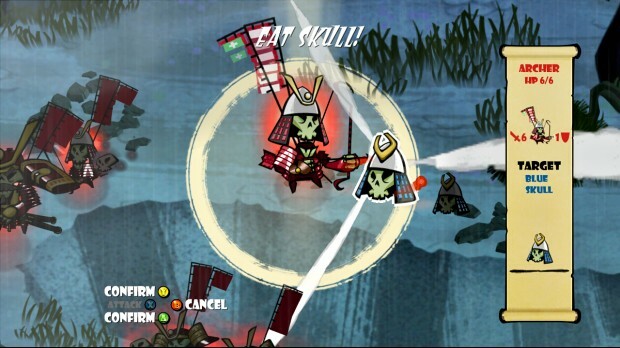 Hello and welcome to the XBLA Fans guide to the first region of Skulls of the Shogun (Skulls.) On this page, you’ll find a walkthrough to each of the levels in this region, as well as how to win all of the gold skulls for that area. Enjoy! 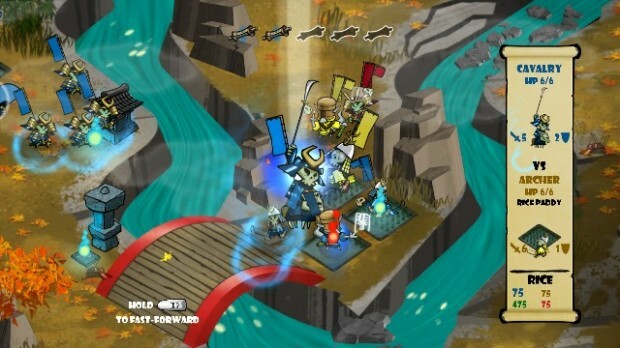 Skulls of the Shogun was developed by 17-BIT and published by Microsoft Studios. It was released January 30, 2013 for 1200 MSP. A copy was provided for review purposes. 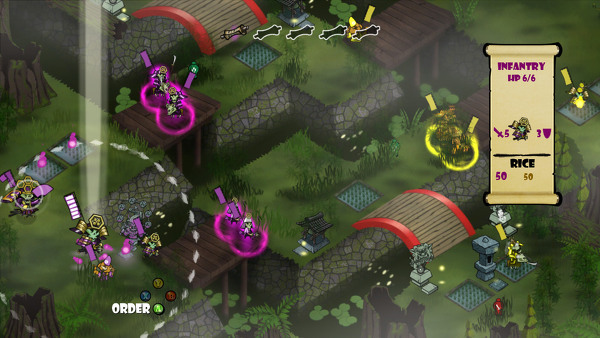 Skulls of the Shogun is a samurai-themed, turn-based strategy game inspired by Nintendo’s Advance Wars series. 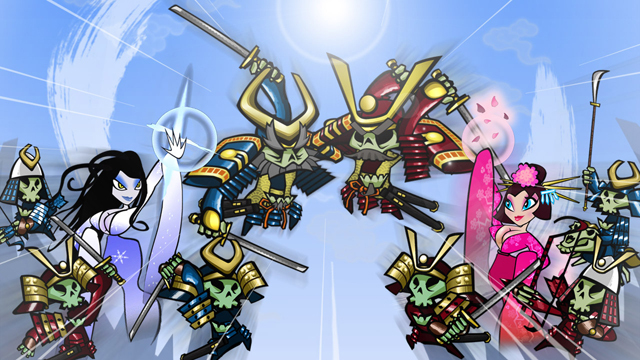 Skulls players must guide the newly deceased General Akamoto and his band of undead warriors across the four seasons of the samurai afterlife. Along with a solid single-player campaign the game — which was simultaneously released on XBLA, Windows 8, Windows Phone and Windows Surface — comes bundled with the ability to play online and offline multiplayer skirmishes along with a much-hyped asynchronous mode, allowing matches to be played across all four platforms. 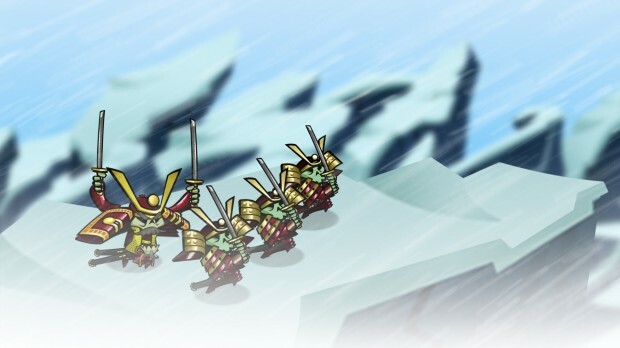 Throughout your journey through the afterlife, General Akamoto is assisted by a small team comprising of Archers (ranged attacks), Infantry (close-quarters combat) and Cavalry (scouts). Things may initially look bleak for our mustachioed hero, but further help can be gained by haunting shrines to summon extra resources in exchange for rice, or as the game progresses, by summoning elusive animal monks bringing advanced magic to your troop. You can also upgrade your comrades to a demon status by having them chow down on the skulls of the enemies they’ve slain.